When: Today-Dec. 21; performances are Thursdays-Saturdays at 7:30 p.m.; Sundays at 2 p.m.
A century ago at Christmastime, German soldiers and their opponents on the other side of No Man’s Land – allied troops from the U.S., France and the United Kingdom – put down their guns, shook hands, sang songs and traded keepsakes. 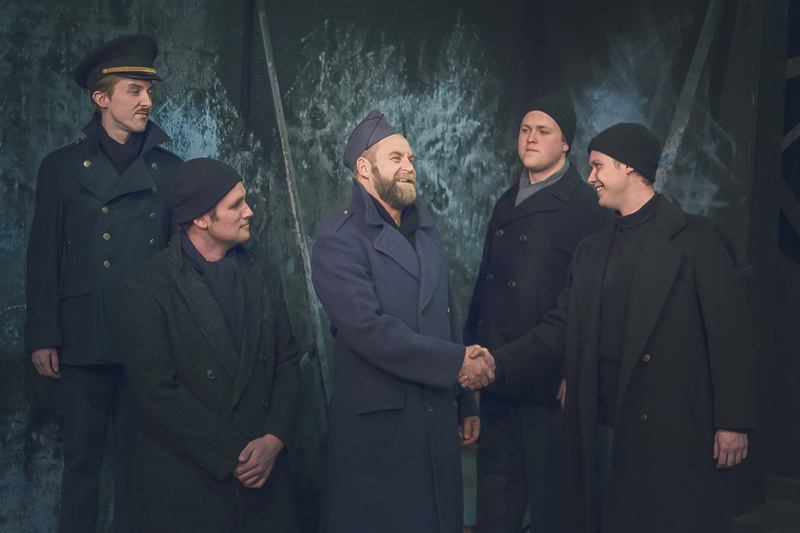 On stage at The Modern Theater Coeur d’Alene, 11 men will tell that story – through the words of the soldiers who were there, and through the music of the World War I era. Directed by Abbey Crawford, the Modern’s “All is Calm” features a host of veteran singers. There’s Jim Swoboda, memorable as Jean Valjean in Spokane Civic Theatre’s “Les Misérables” last year. From Lake City Playhouse’s “Les Mis” are Eric Wittenmyer, Daniel J. Bell, Henry McNulty and Kelly Hauenstein. Zach Baker, the Modern’s musical director, will step in front of the curtain for this show. Crawford said she has the perfect cast to tell this powerful story. It’s a short show – running time is about an hour. The music includes traditional Christmas music – “Silent Night” and “Oh Christmas Tree,” sung in German, for instance, and songs from Wales and Scotland, England and France. There’s also the war songs of the day – “Pack up Your Troubles,” “Keep the Home-Fires Burning,” “It’s a Long Way to Tipperary.” The music is performed a capella, and the actors will not be miked. Crawford said she’s going for a more organic feel, and that microphones might muck up the balance. The play – written by Peter Rothstein, with arrangements by Erick Lichte and Timothy C. Takach – originated at Theatre Latté Da in Minneapolis, where it’s become a tradition. It’s been little seen outside the Twin Cities; the Modern is one of the few theaters granted permission to stage it.